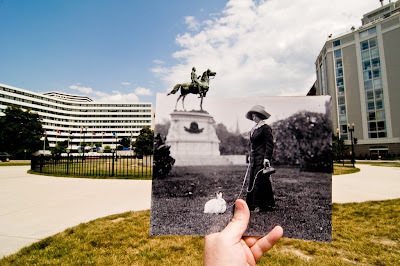 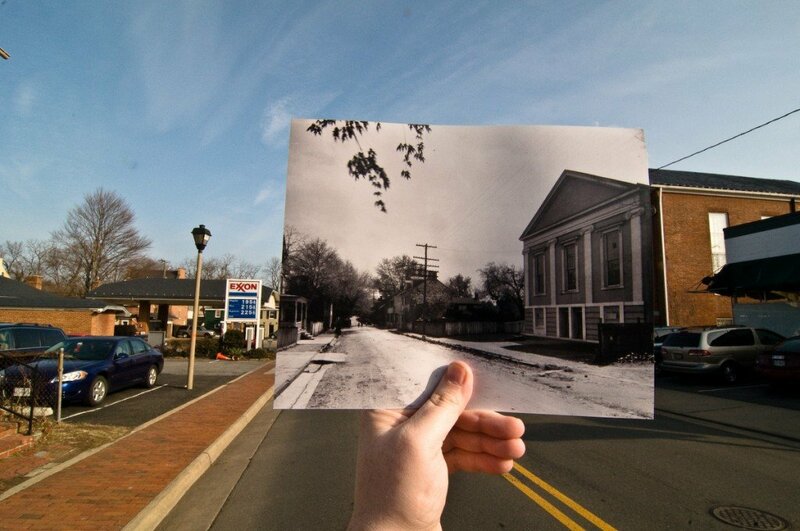 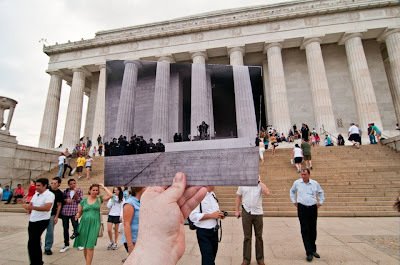 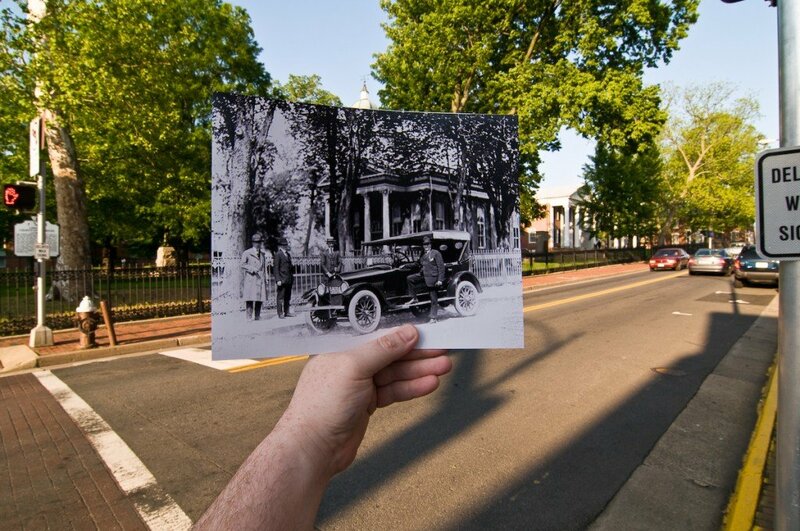 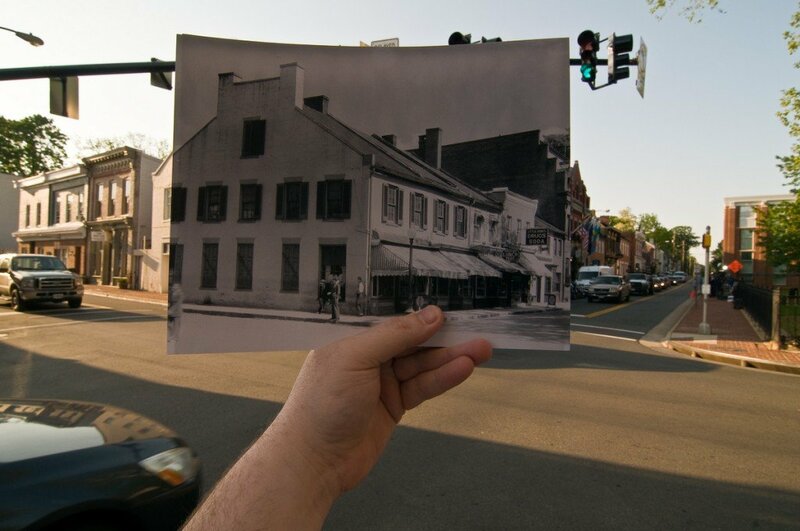 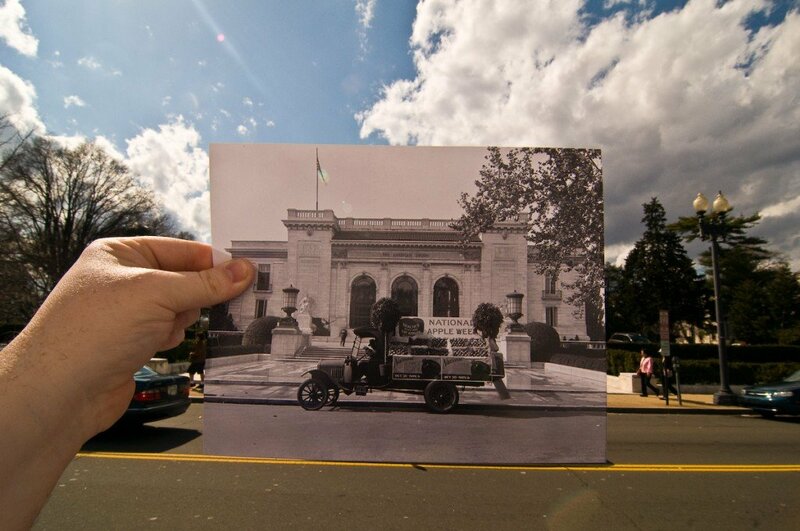 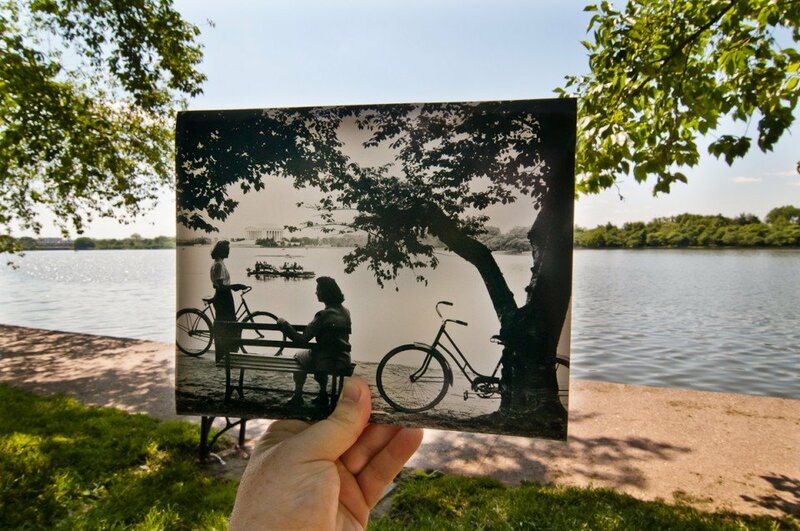 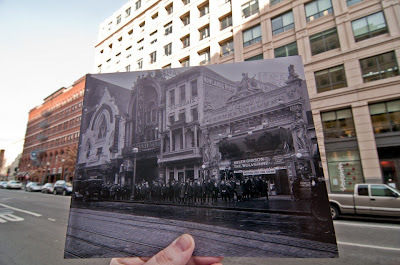 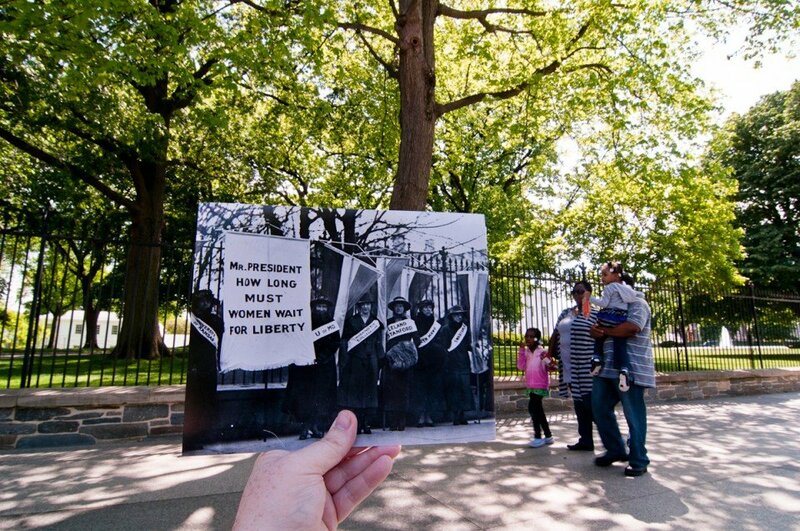 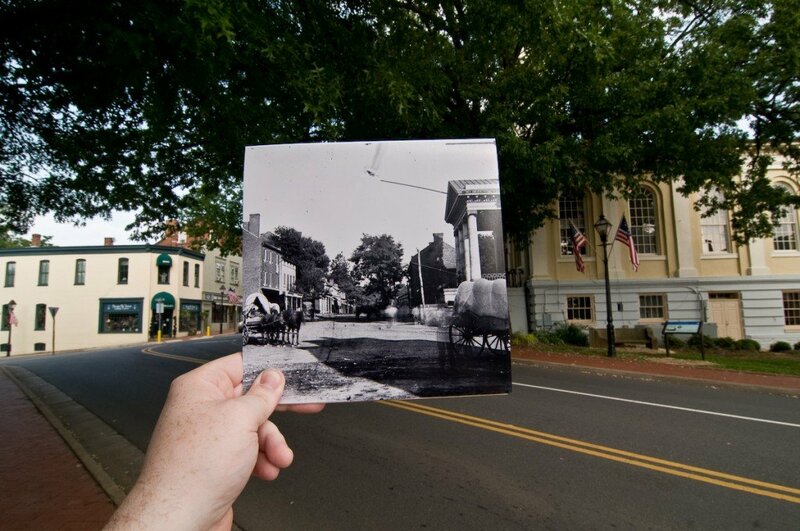 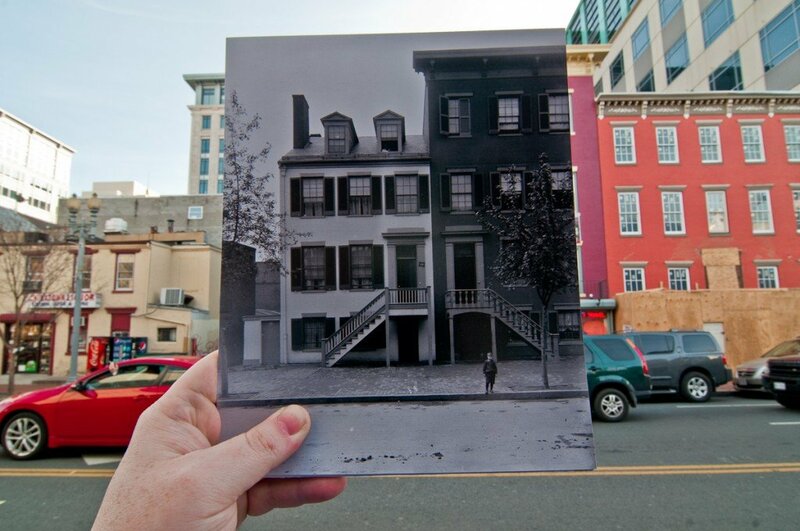 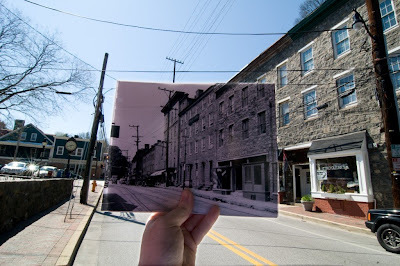 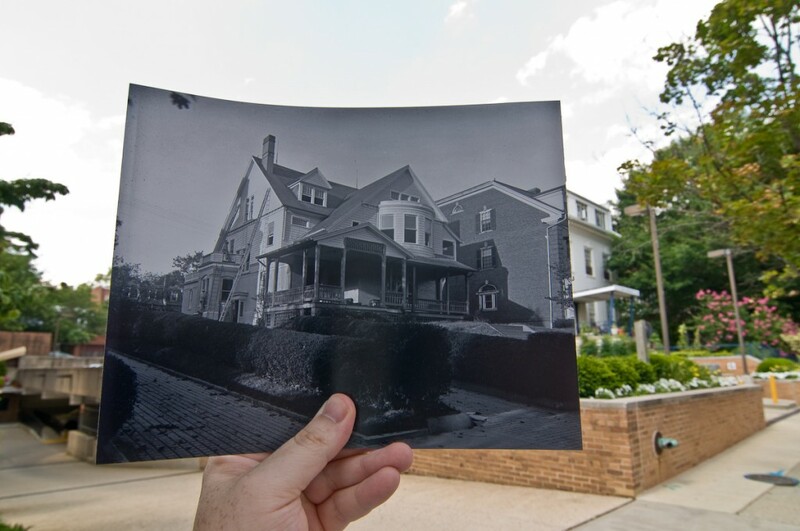 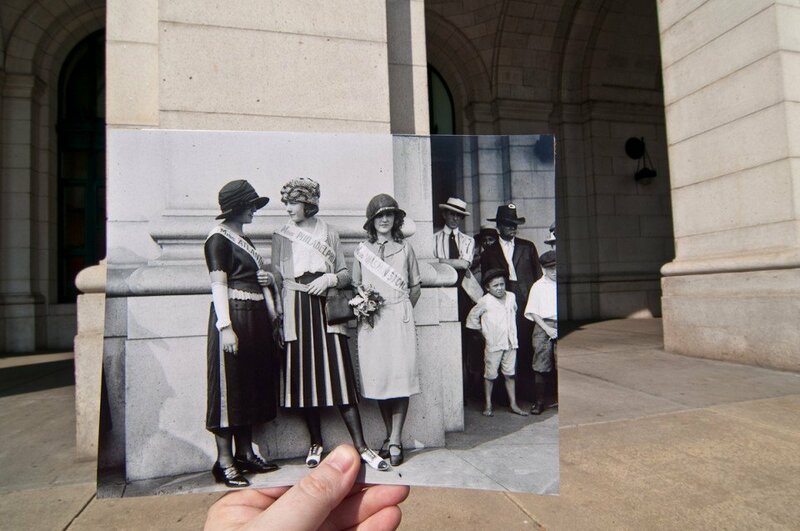 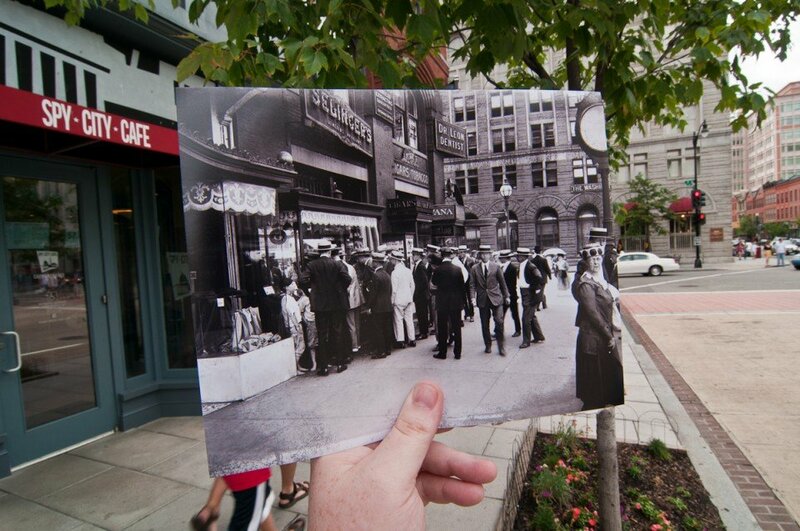 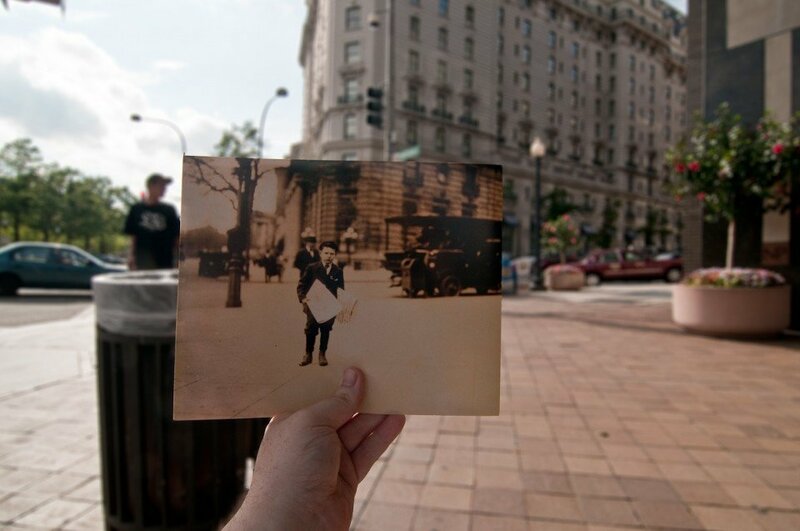 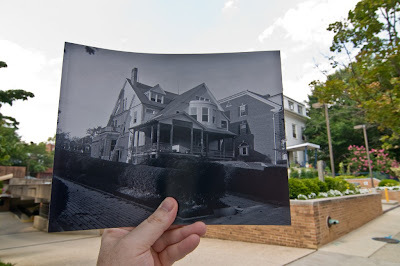 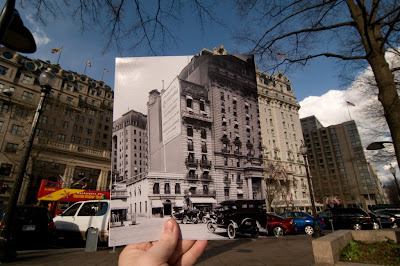 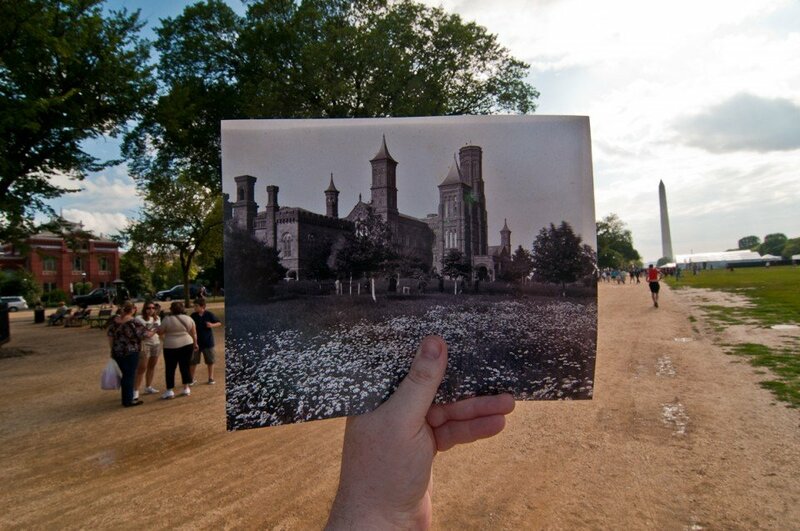 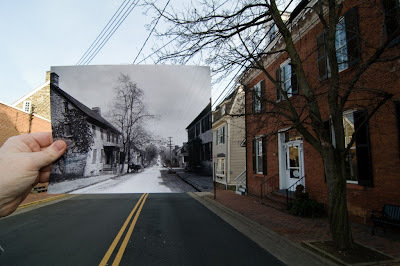 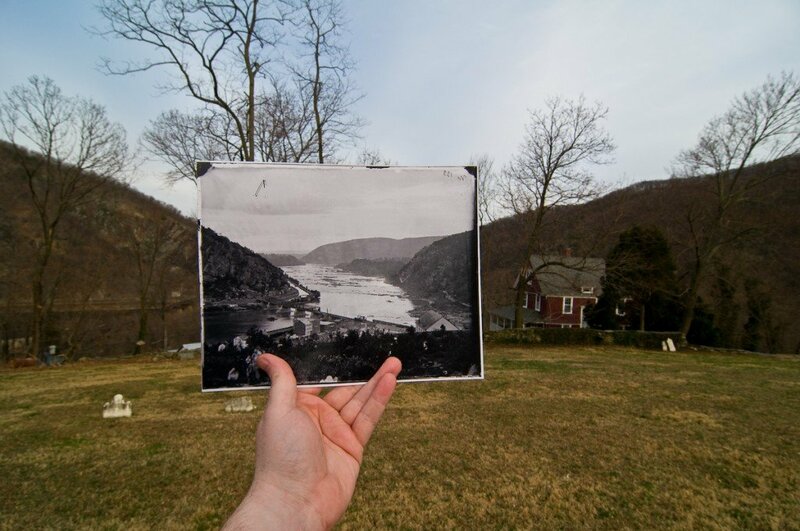 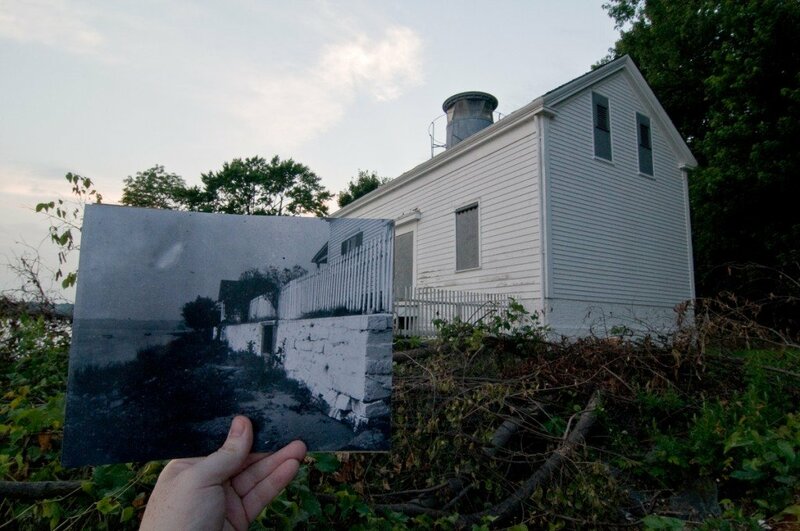 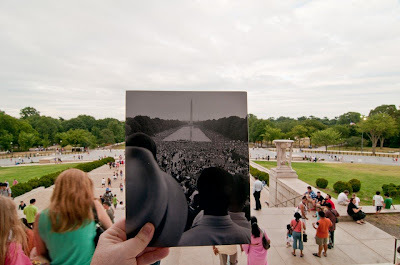 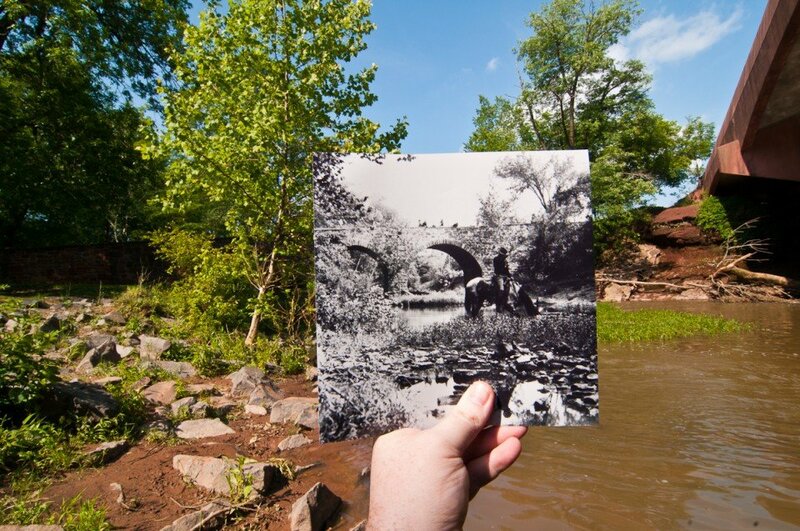 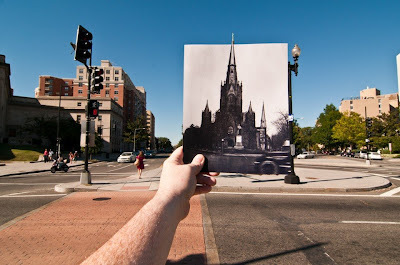 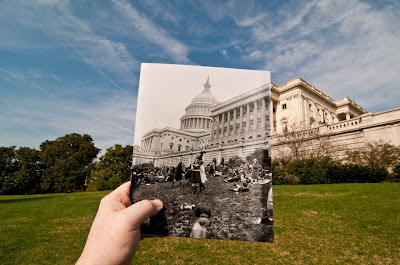 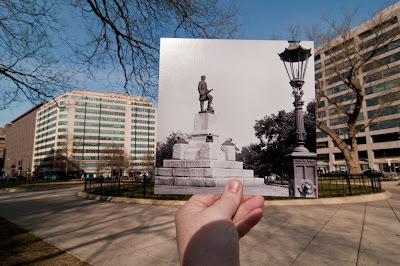 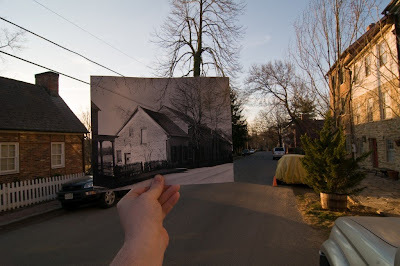 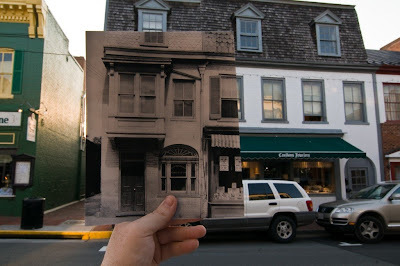 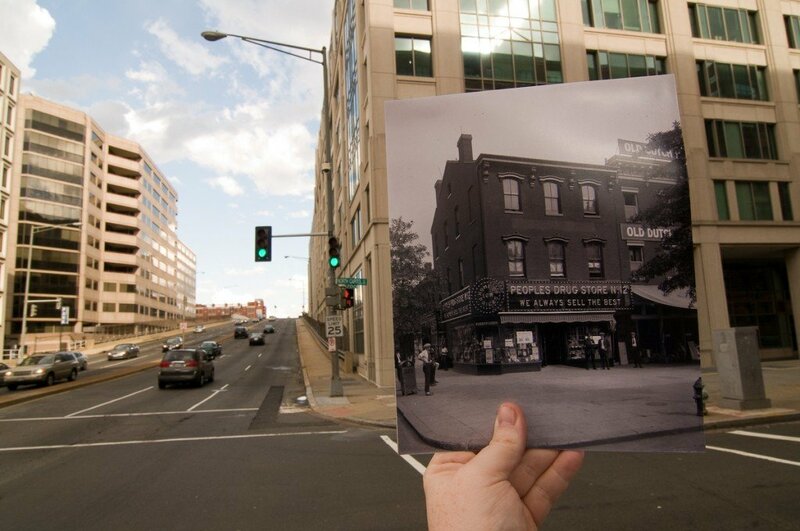 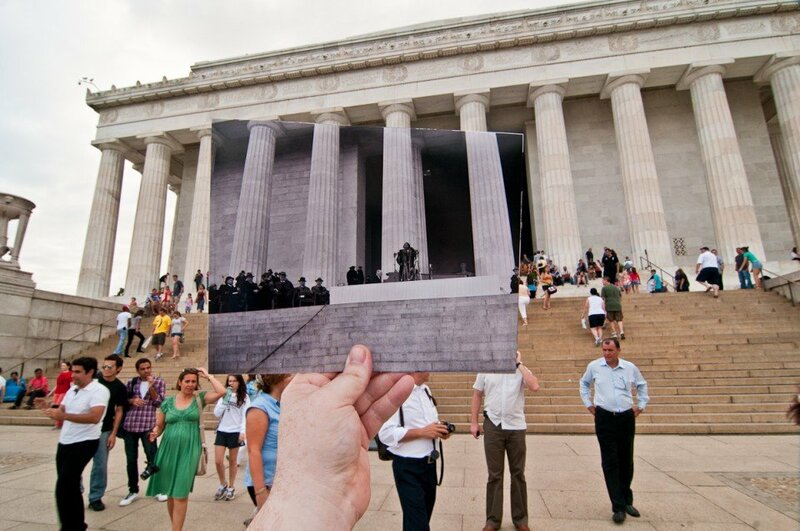 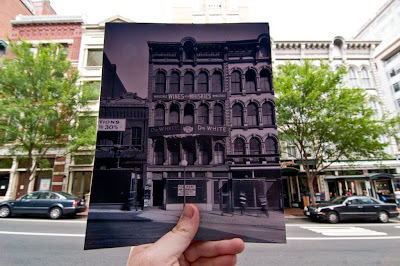 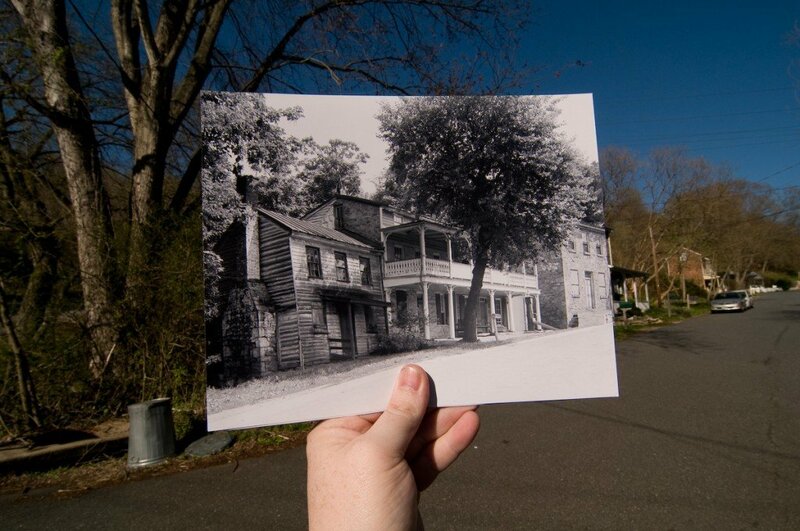 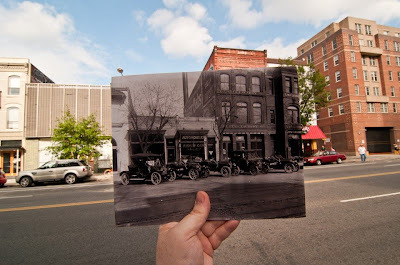 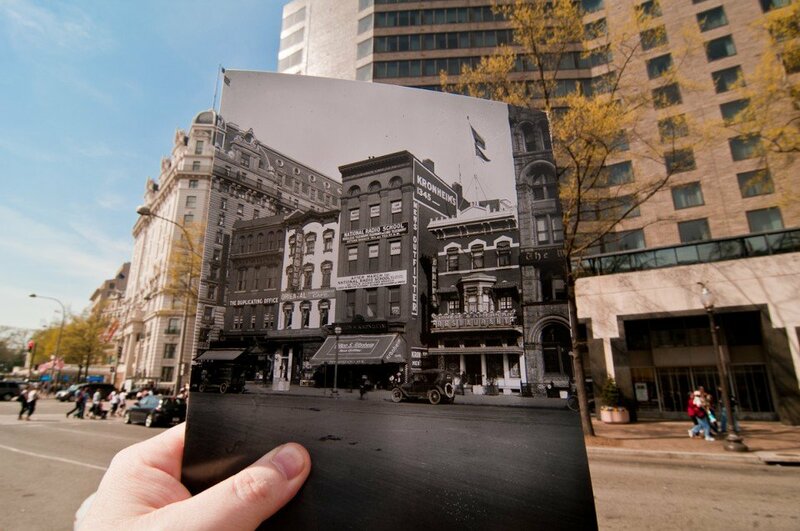 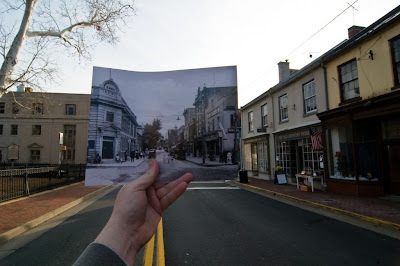 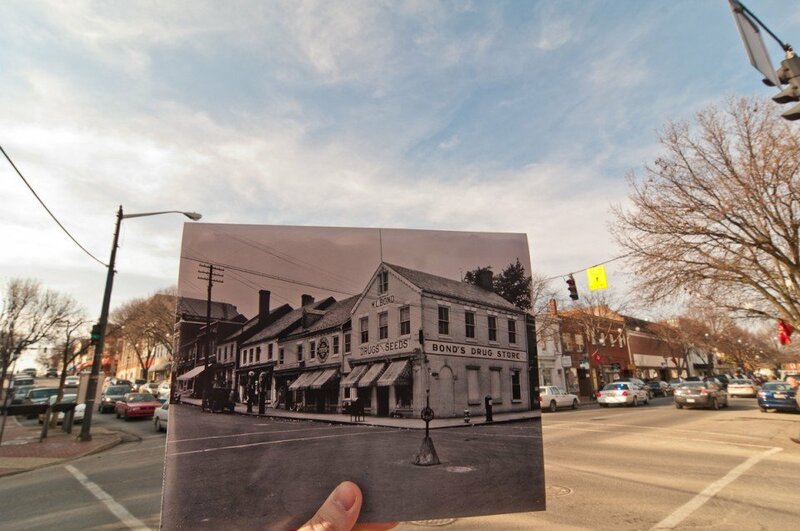 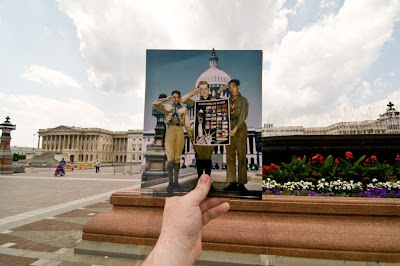 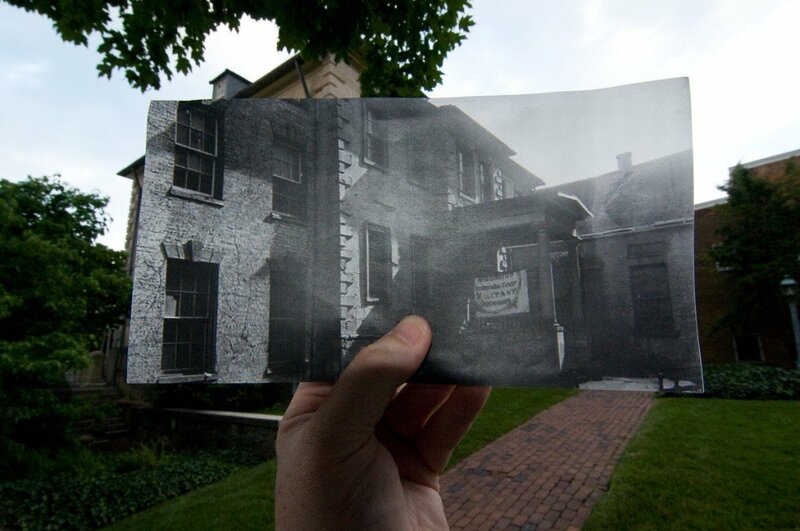 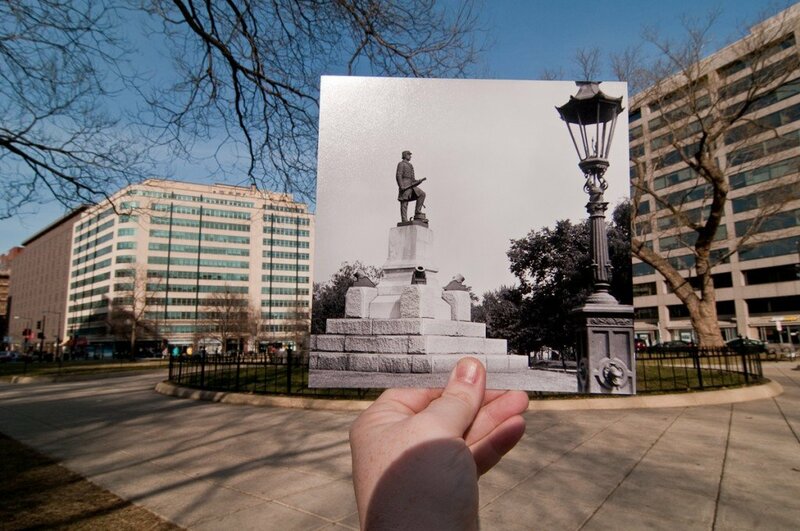 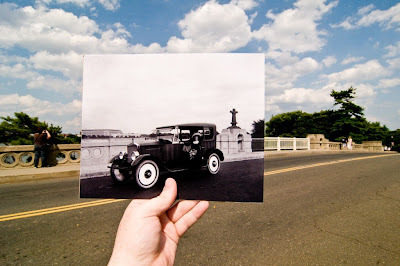 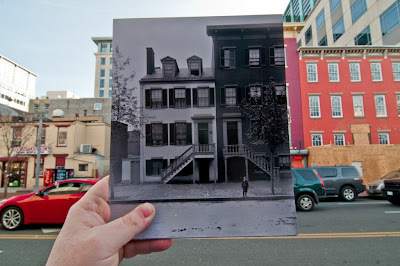 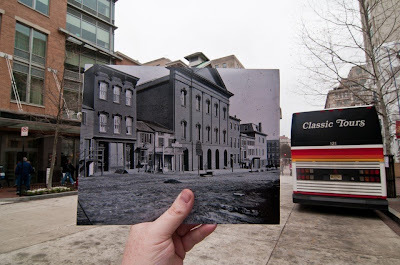 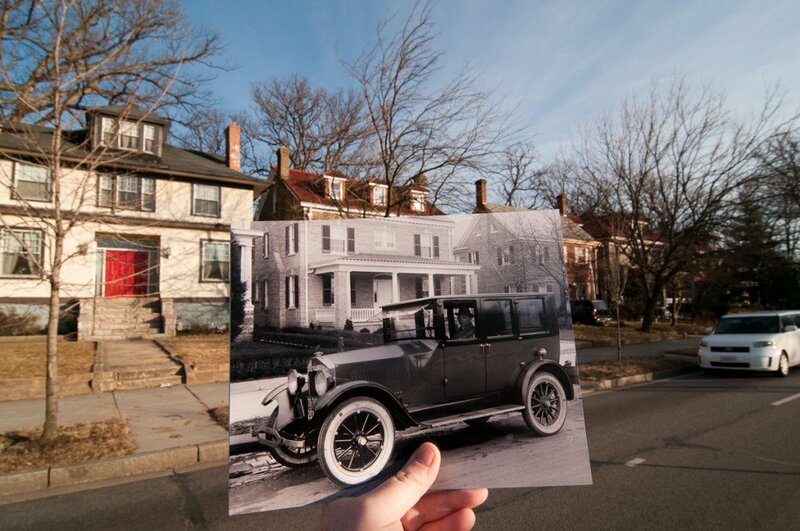 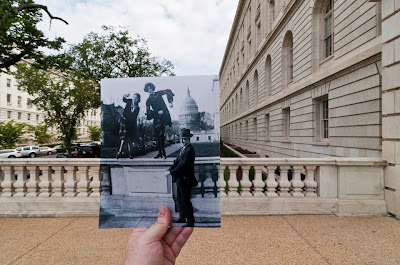 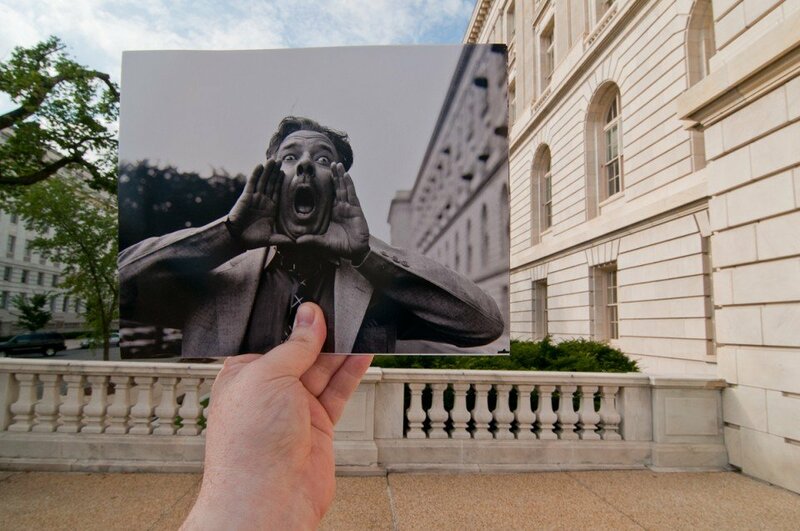 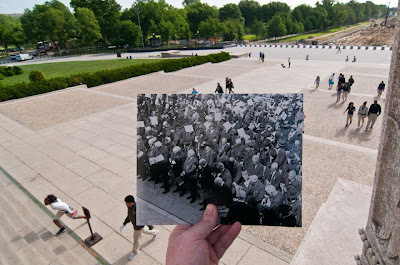 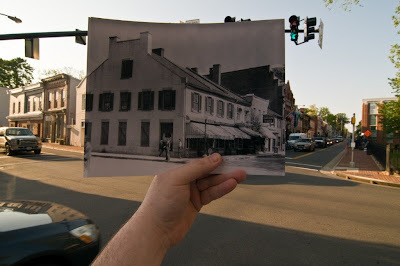 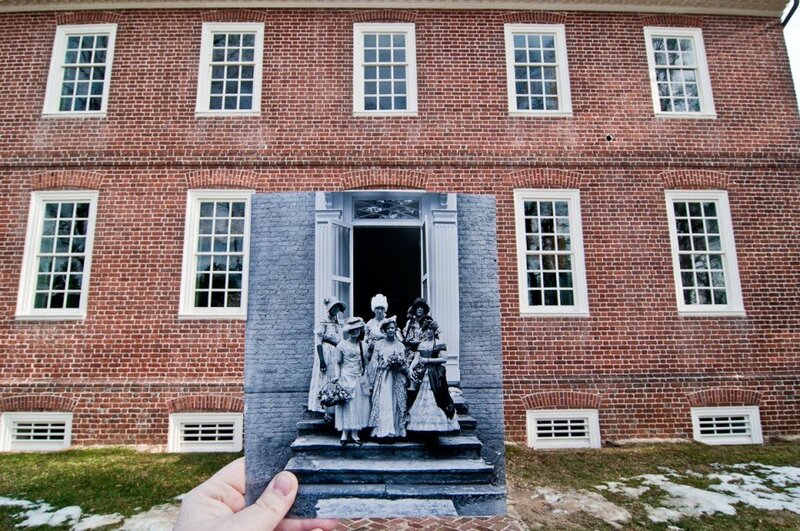 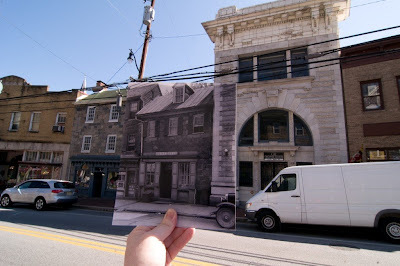 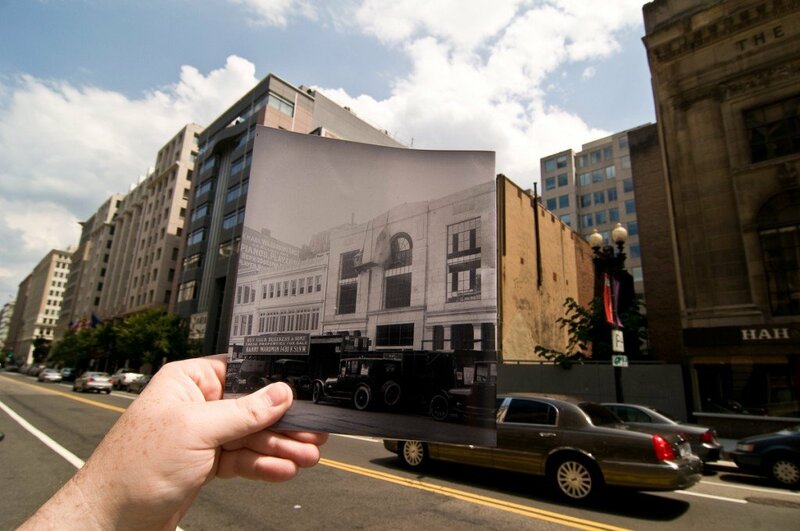 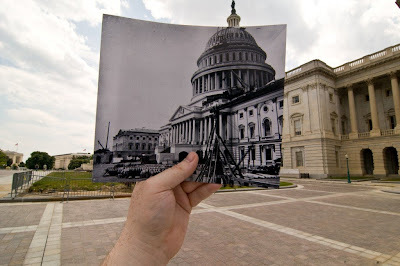 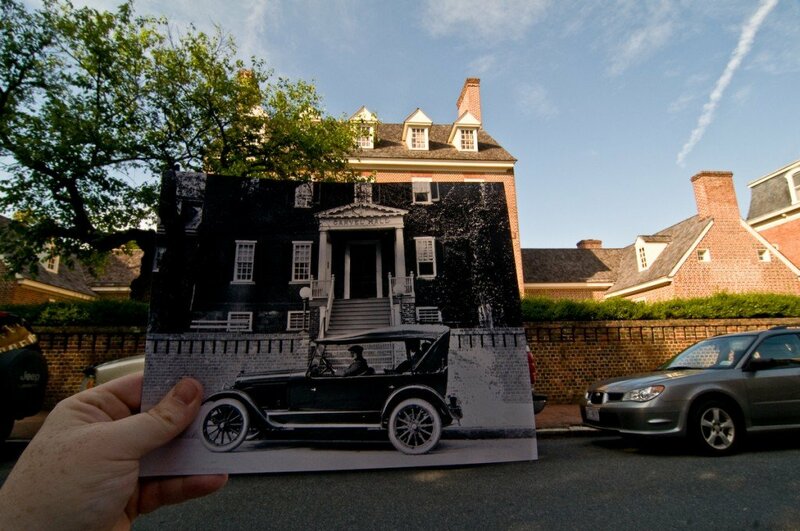 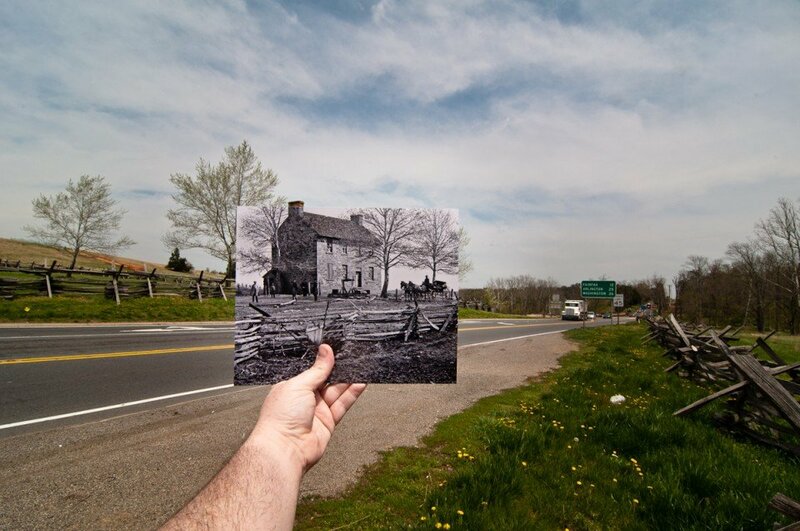 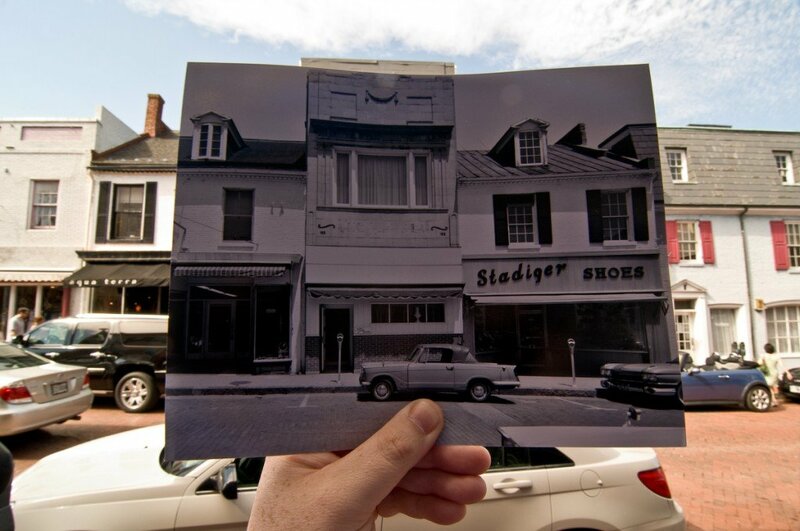 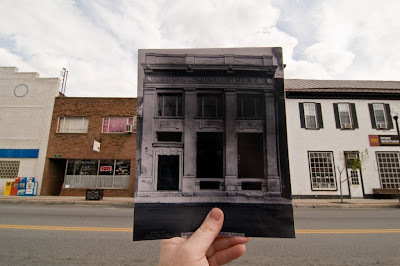 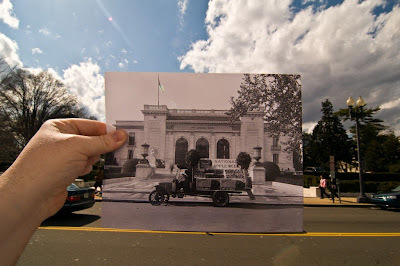 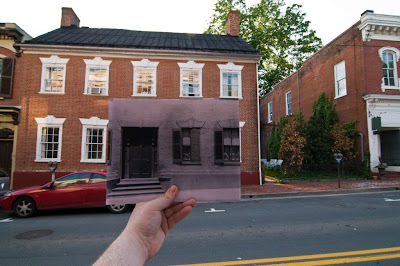 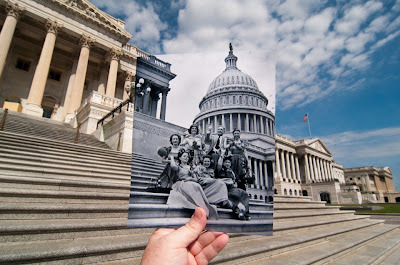 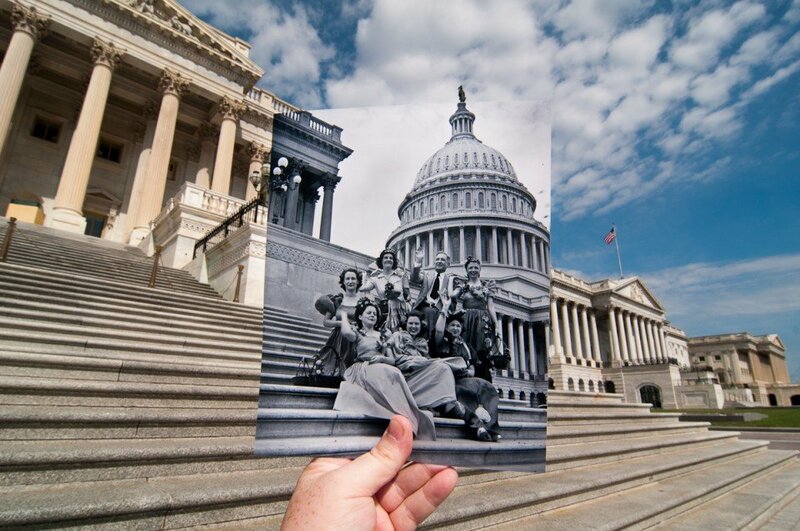 In his series "Looking Into The Past", Jason Powellphotographs sites in and around the Washington D.C. area while holding between his camera and location a physical photo of the same spot taken in an earlier era. 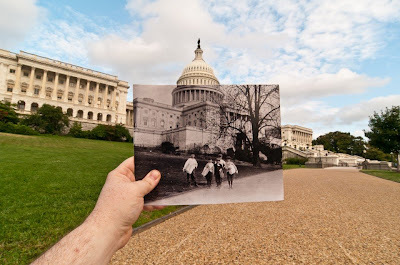 Most of the archival photographs he uses free of charge from the Library of Congress. The results are spectacular, some sites have the same building facades as they did back in the late 1800s and early 1900s, while other sites have lost all their historic elements.